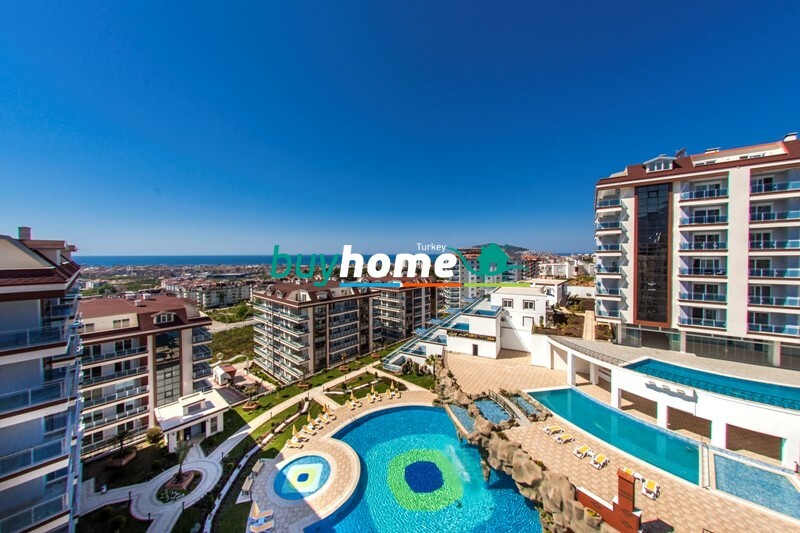 BH Another World | Your real estate agent in Turkey.Rent Apartment in Alanya. 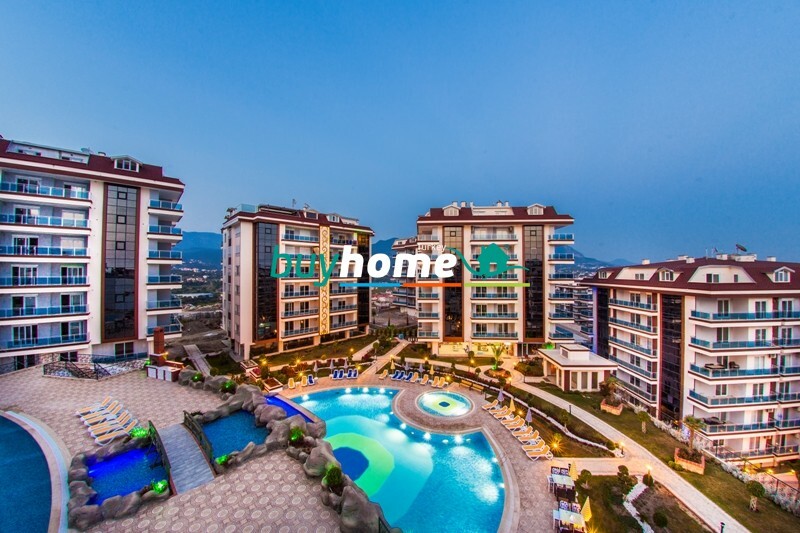 New magnificent complex with apartments in Alanya in green picturesque surroundings of Alanya part Cikcilli. 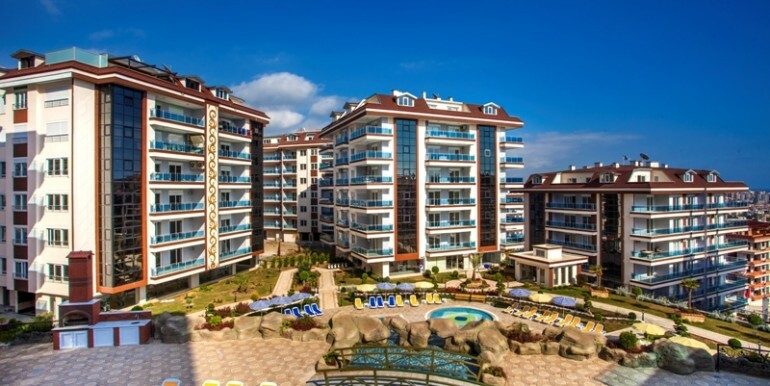 Terrace apartments are in blocks 10 and 11. 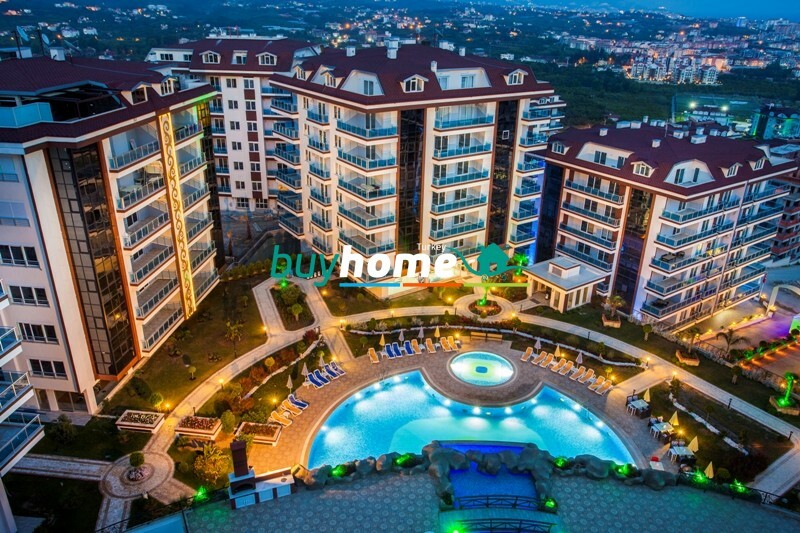 The total living area is 142 m2. 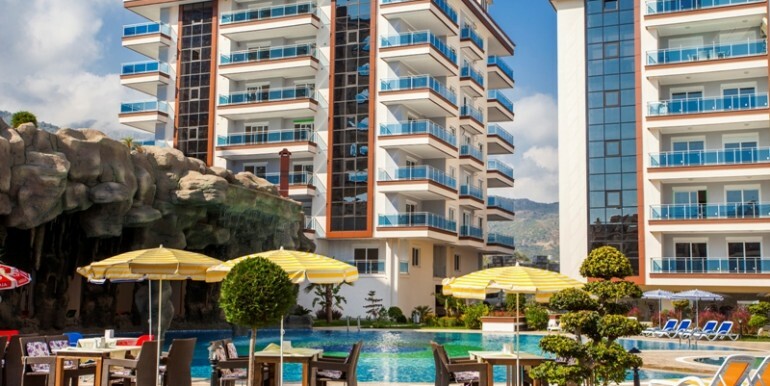 The terrace is 55 m2 where you can enjoy your sunbathing and after swimming rest. 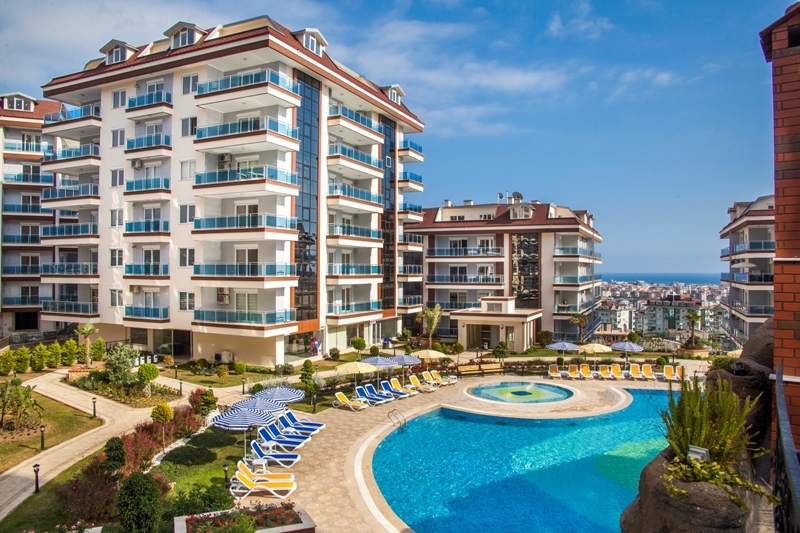 Each of terrace apartments has a private swimming pool. 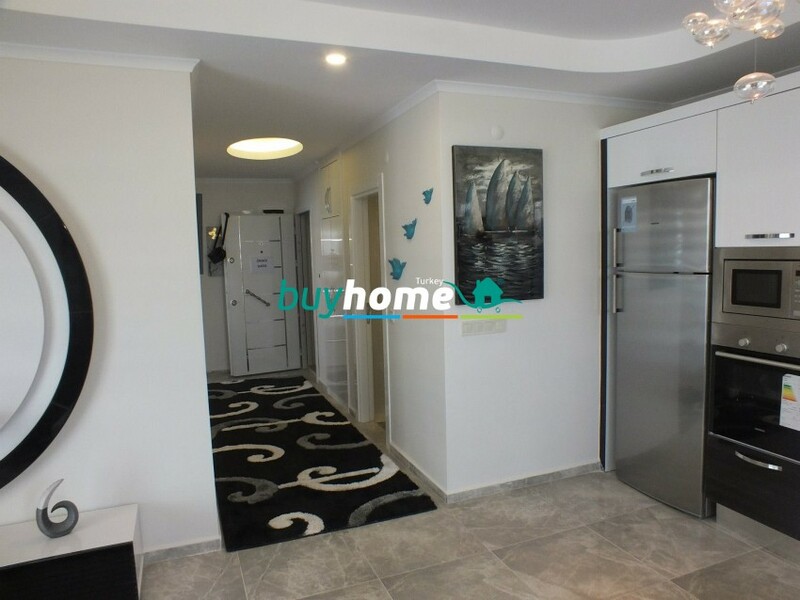 The living area of the apartment is 87 m2 and split into a living room with an American kitchen, 2 bedrooms, 2 bathrooms and a storage room. 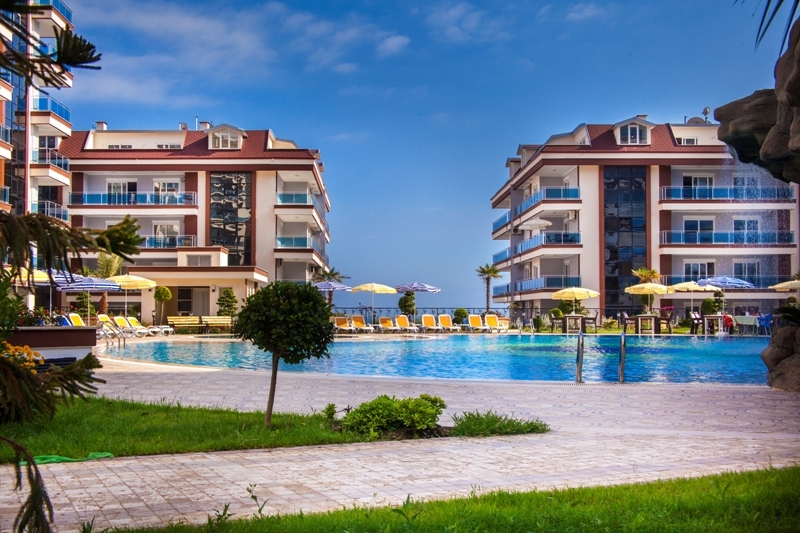 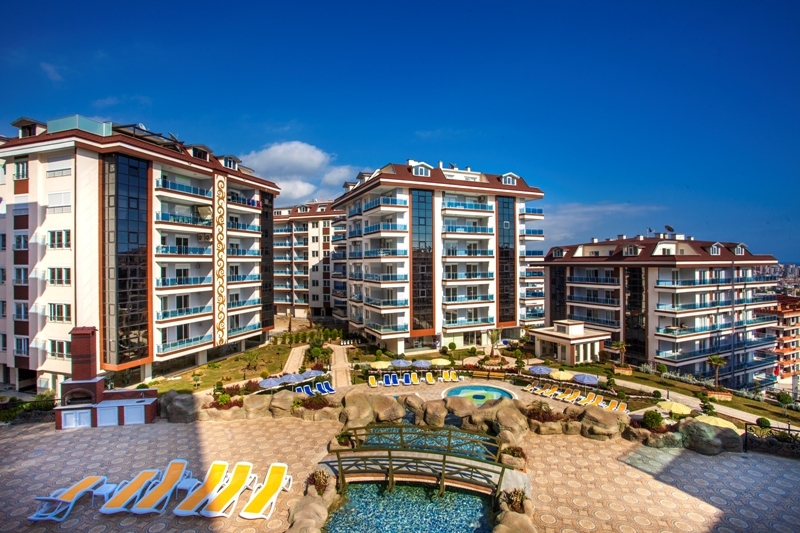 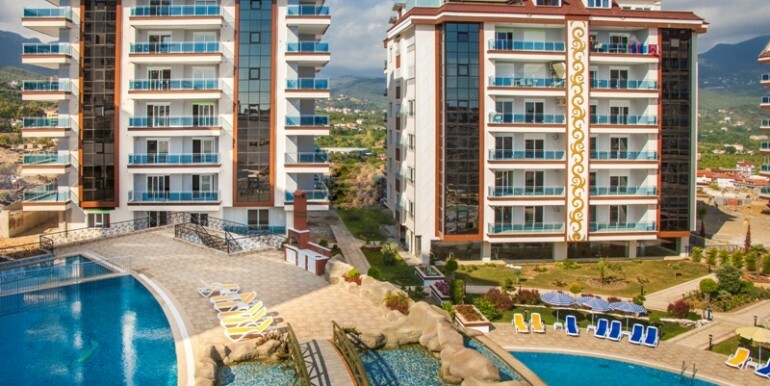 These terrace houses in Alanya will provide your comfort and privacy though being in the large complex. 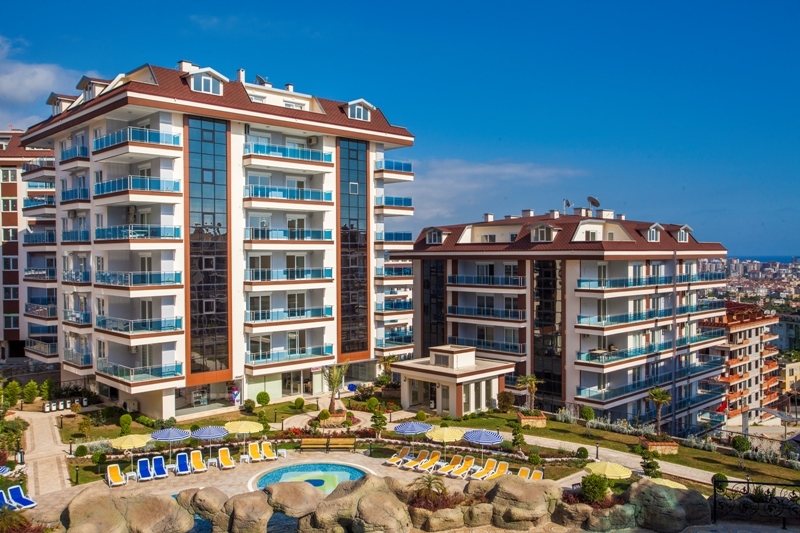 One bedroom apartments are in 1st, 2nd, 3rd, 7th, 8th, 9th blocks. 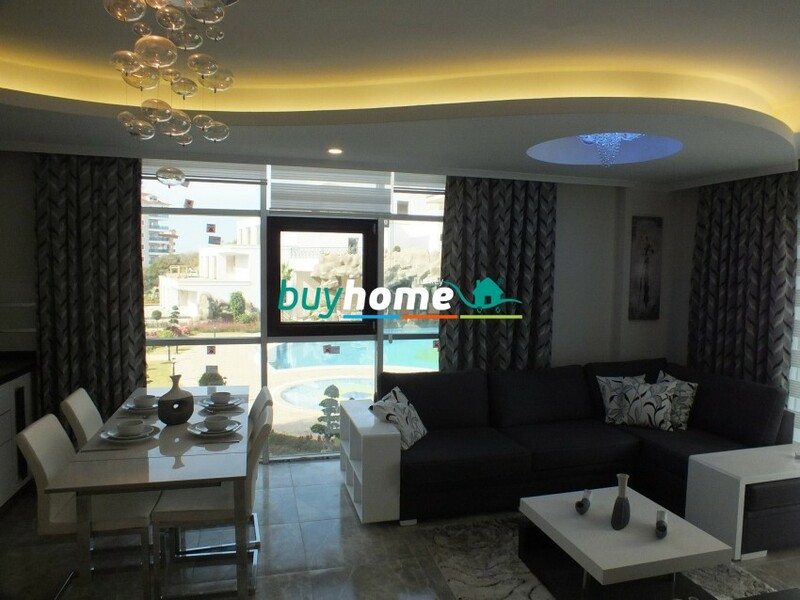 The living area is 60m2 and split into a living room with an American kitchen, a bedroom, a bathroom and a balcony. 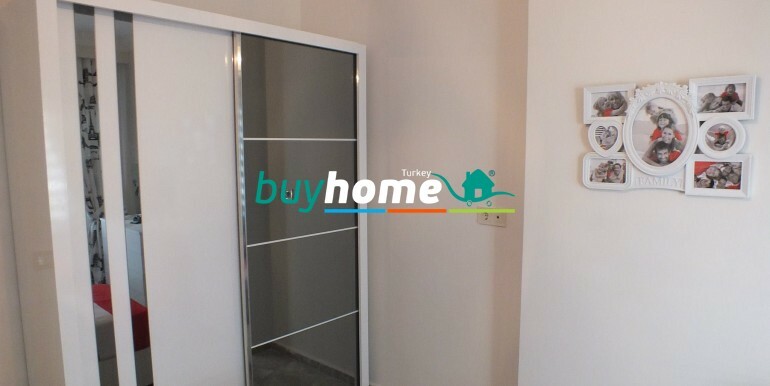 Two bedroom apartments have 93 m2 of living space. 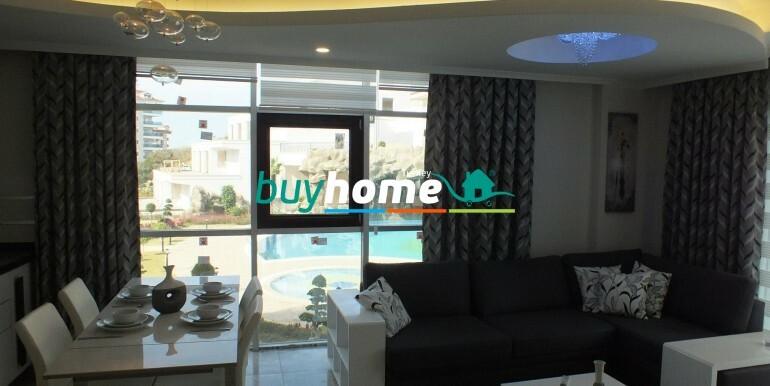 There is a living room with an open style kitchen, 2 bathrooms, 1 big balcony and 2 smaller ones. 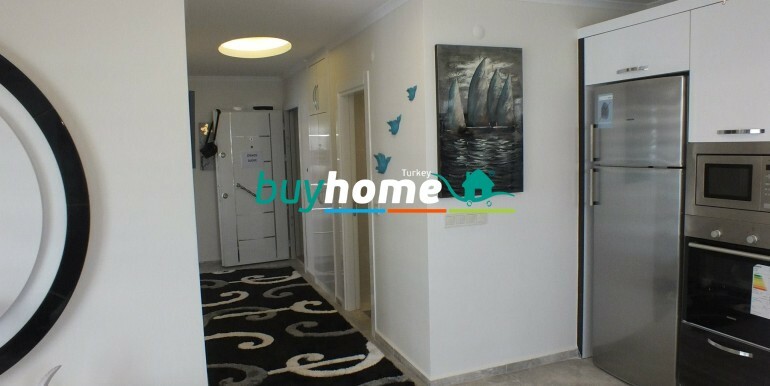 Three bedroom apartments are in the 8th block. 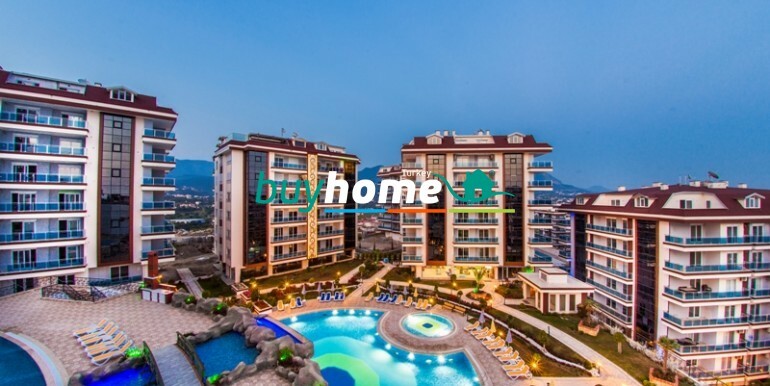 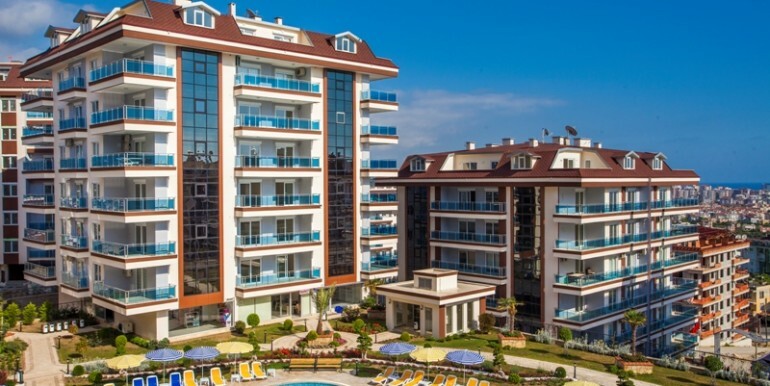 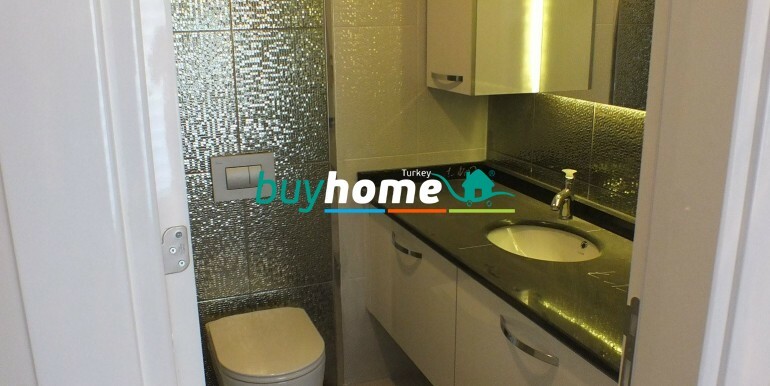 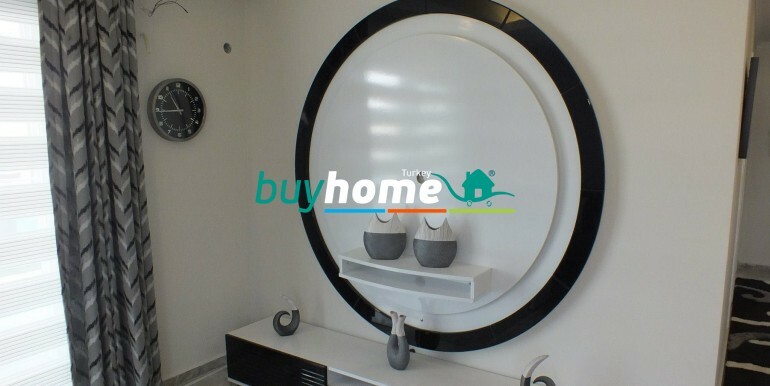 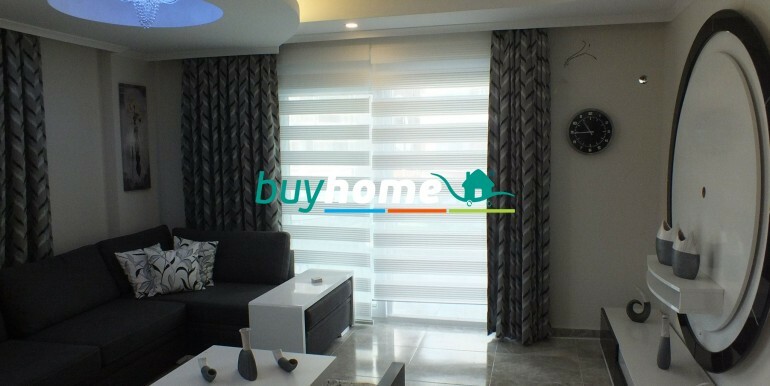 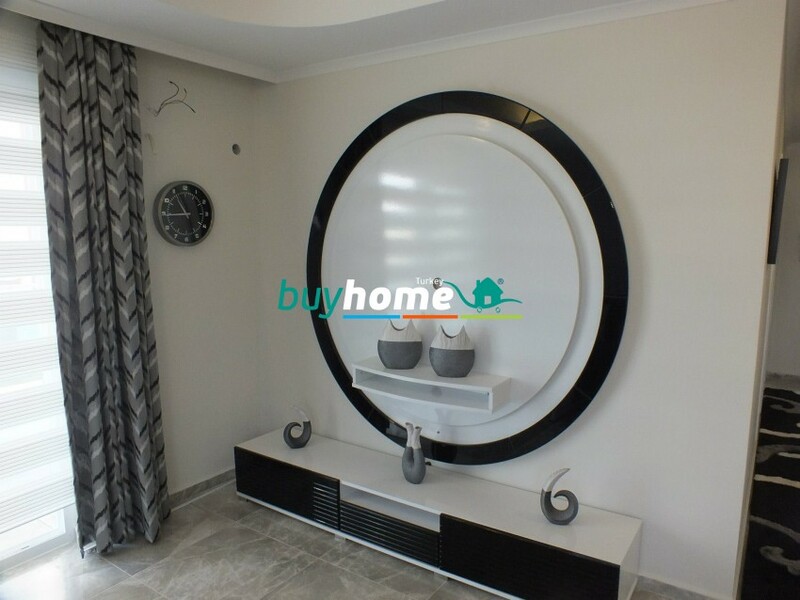 These apartments in Alanya have living space of 125 m2 which are split into a living room with an American kitchen, 3 bedrooms, 2 bathrooms, 2 balconies. 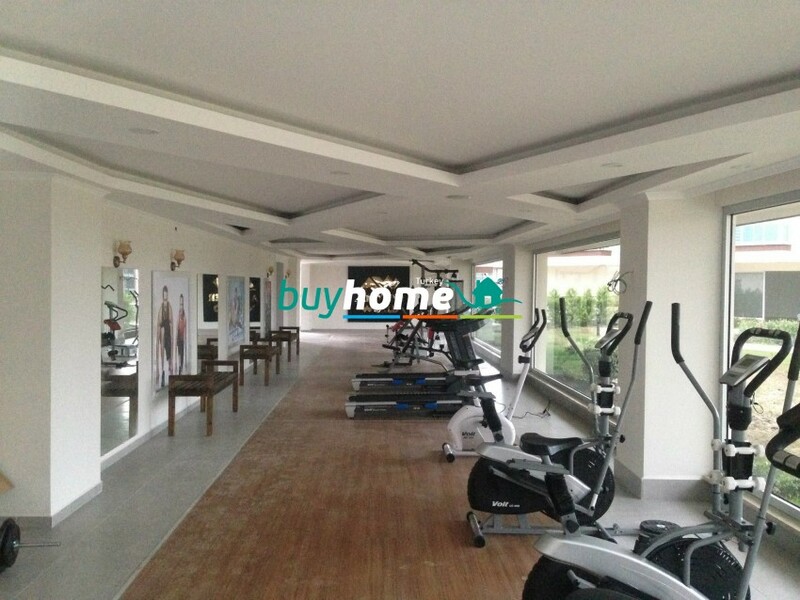 There are also 3 bedroom, 4 bedroom and 5 bedroom dublexes in the complex. 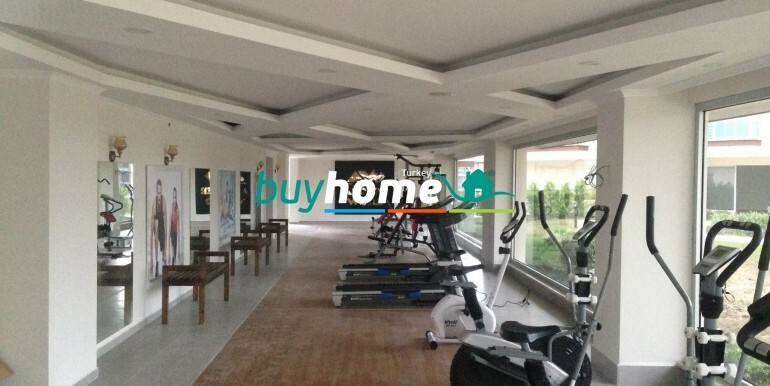 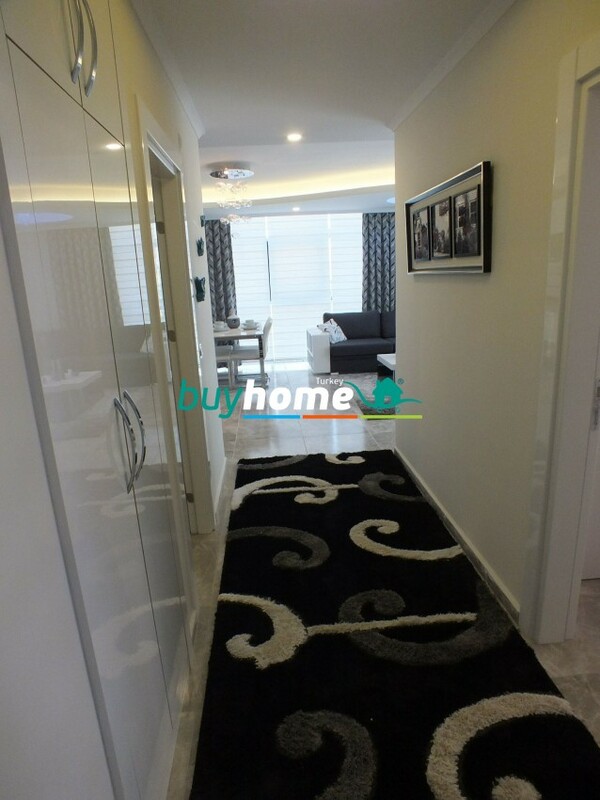 The complex is situated in a quiet location away from the noisy crowded streets. 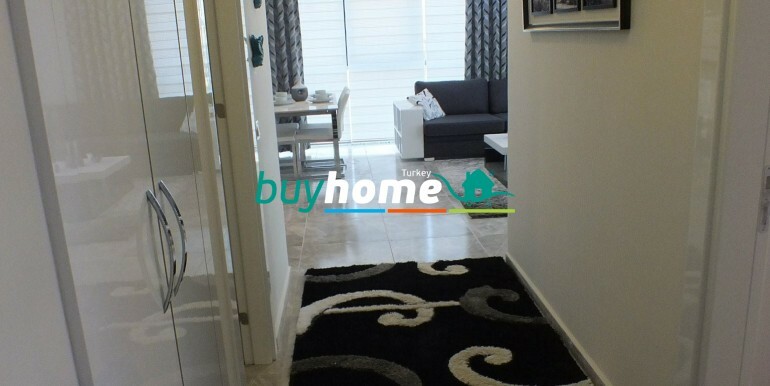 There will be a shopping centre just near the complex and Metro and Kipa shopping centres are at a distance of 10 minutes drive. 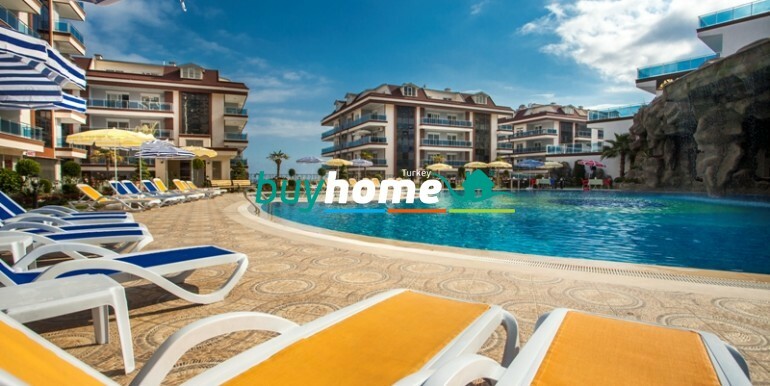 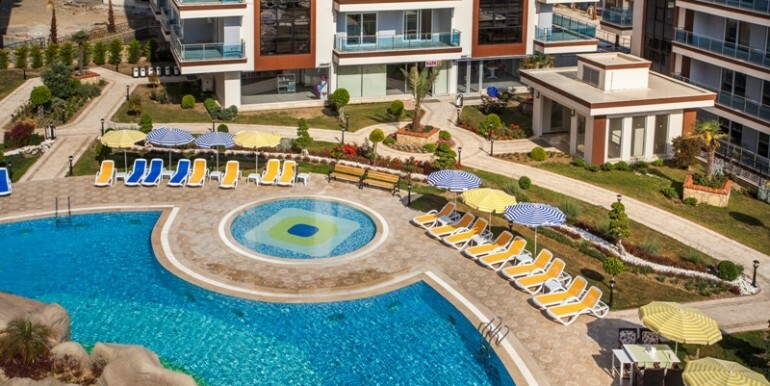 These apartments in Alanya are perfect for living fulltime and perfect just for spending holidays here. It is a project worthy to think of investment in Turkey as the prices now are minimum and will increase at every new stage of the construction. 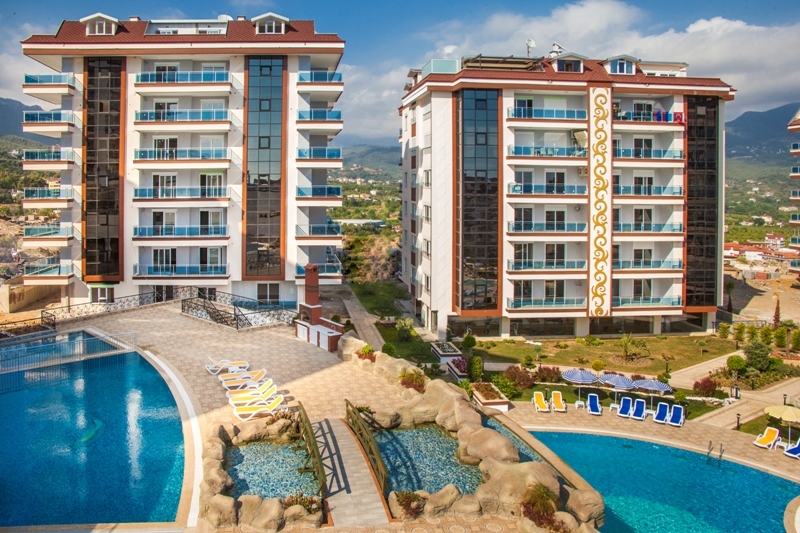 Call us to get more information about this great new project in Alanya. 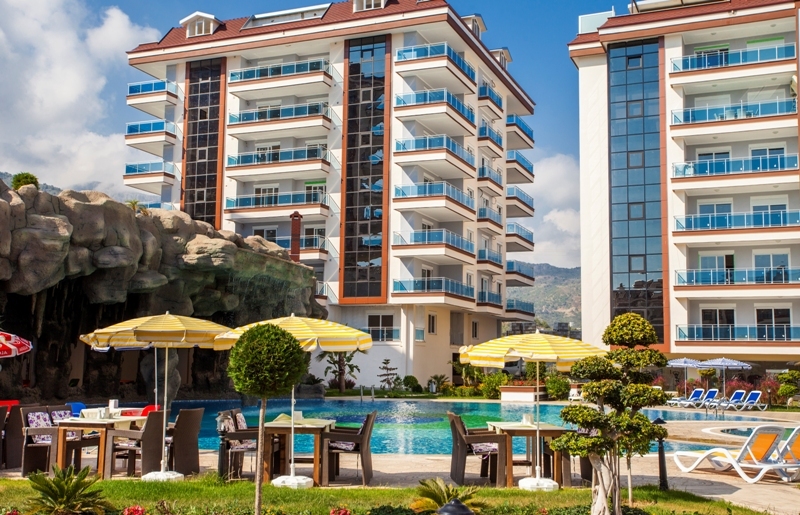 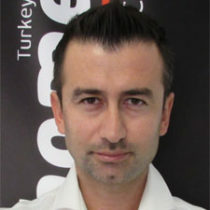 We shall help you to find your property in Alanya.